So last week I brought you shredded beef, albeit it wasn’t supposed to be shredded, and this week I am bringing you pulled pork, which is essentially shredded pork. 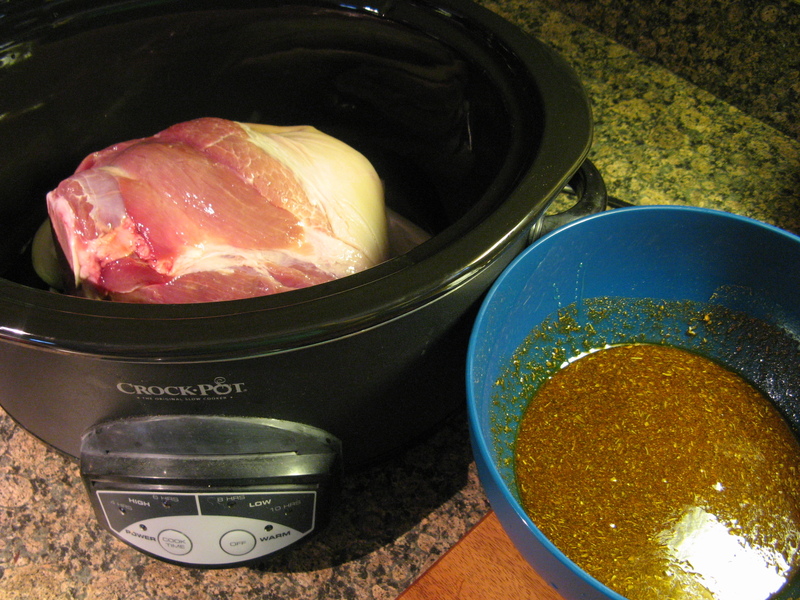 When I usually make pork shoulder I make it in the oven seasoned with a variety of spices, this time around though I decided to try it out in my slow cooker and I think I may be sticking with this method from now on. The meat came out extremely tender and flavorful. After rinsing the bone-in pork shoulder I placed it in the insert of my slow cooker over a yellow onion cut into wedges. In a medium bowl I made the marinade combining spices that included paprika, salt, black pepper, cayenne pepper, garlic powder and oregano along with honey, red wine vinegar and olive oil. I made a few punctures into the meat using a knife and then poured the marinade over it. 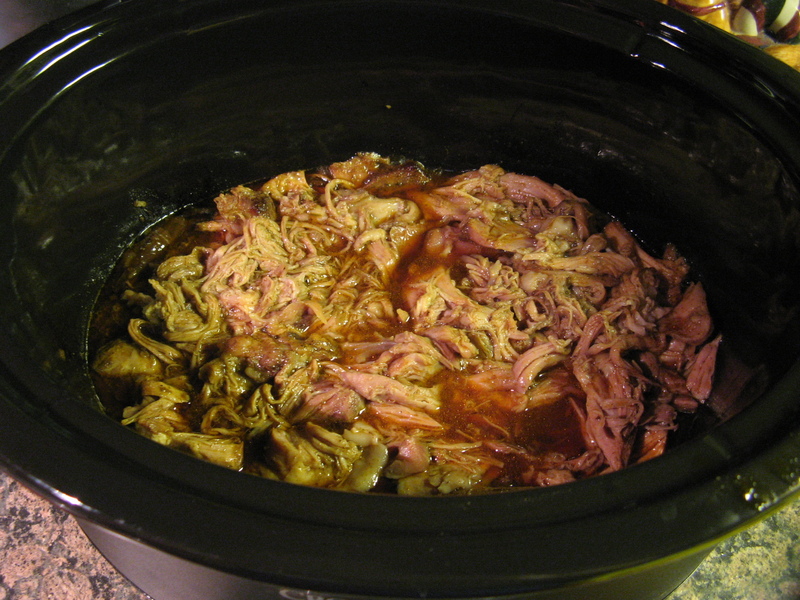 And then using two forks I shredded the meat and left it in the insert of the slow cooker on the warm setting for about 15-20 minutes so the meat could absorb some of the juices that had accumulated on the bottom. And like I said… It was delicious! You could eat it this on its own or use it for a delicious sandwich. 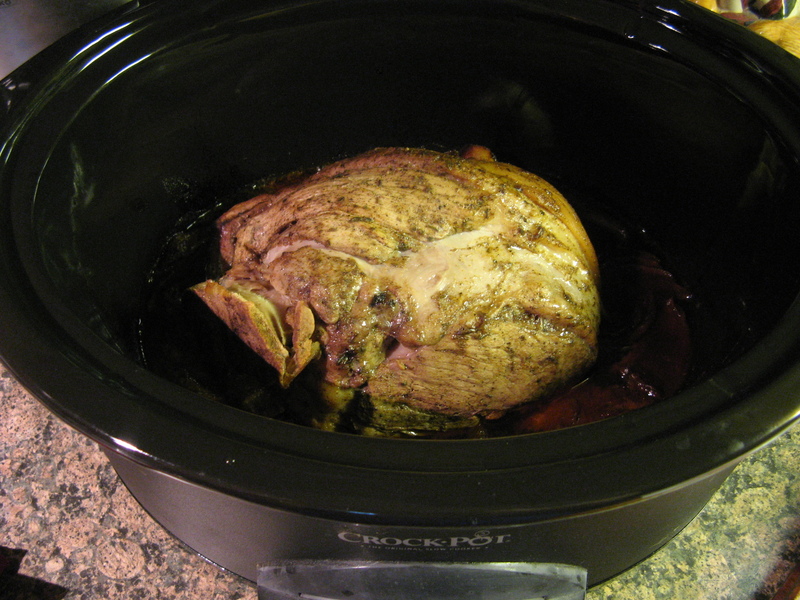 Place the onion in the insert of the slow cooker and place the pork on top of it. Make a few punctures in the meat. In a medium bowl combine all of the spices and then add in the honey, vinegar and olive oil to form a marinade. Pour the marinade over the pork and cook on low for 7 to 8 hours. Until the meat is fully cooked and tender. 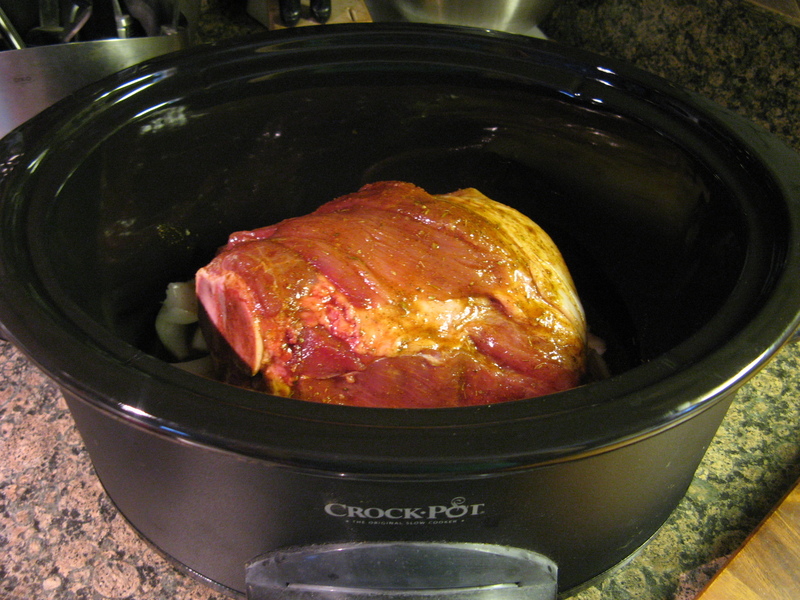 Shred the meat with two forks and allow it to sit in the juices in the slow cooker on the low setting for 15-20 minutes.